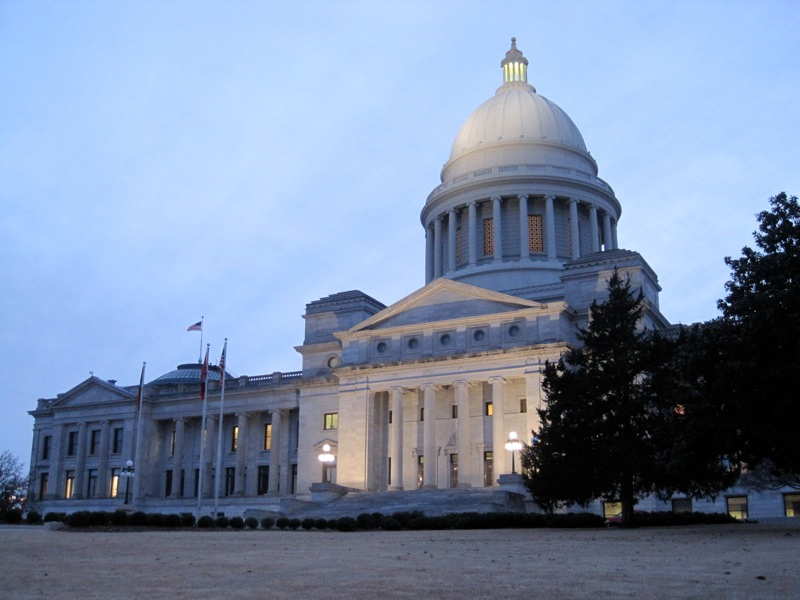 Capitol building in Little Rock, Arkansas. Photo by rarr. on Flickr (noncommercial use permitted with attribution / share alike). 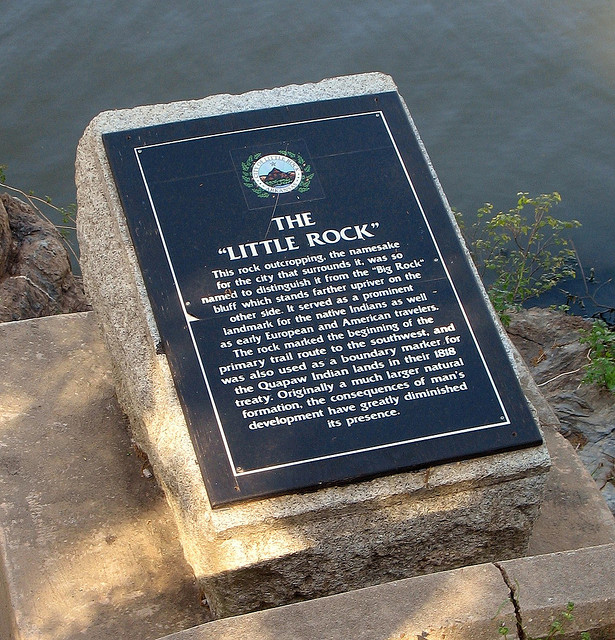 Historic Marker for "THE 'LITTLE ROCK' - This rock outcropping, the namesake for the city that surrounds it, was so named to distinguish it from the "Big Rock" bluff which stands farther upriver on the other side. It served as a prominent landmark for the native Indians as well as early European and American travelers. The rock marked the beginning of the primary trail route to the southwest, and was also used as a boundary marker for the Quapaw Indian lands in their 1818 treaty. Originally a much larger natural formation, the consequences of man's development have greatly diminished its presence." Photo by Thomas23 on Flickr (noncommercial use permitted with attribution / share alike). 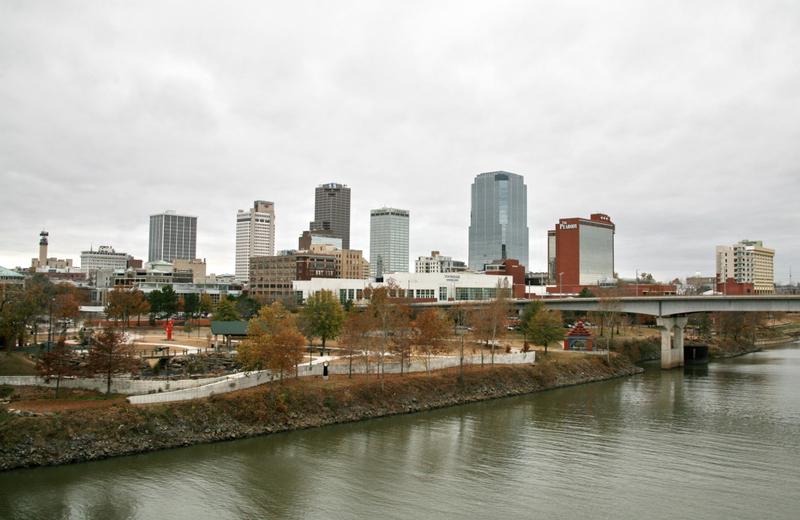 Little Rock, Arkansas skyline. Photo by Cliff on Flickr (use permitted with attribution). 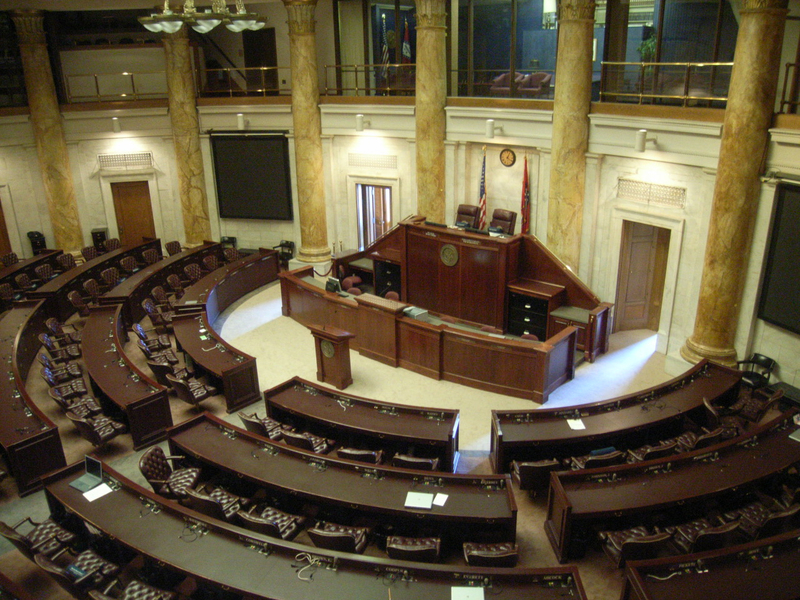 Arkansas House of Representatives chamber in Little Rock. Photo by Cliff on Flickr (use permitted with attribution). 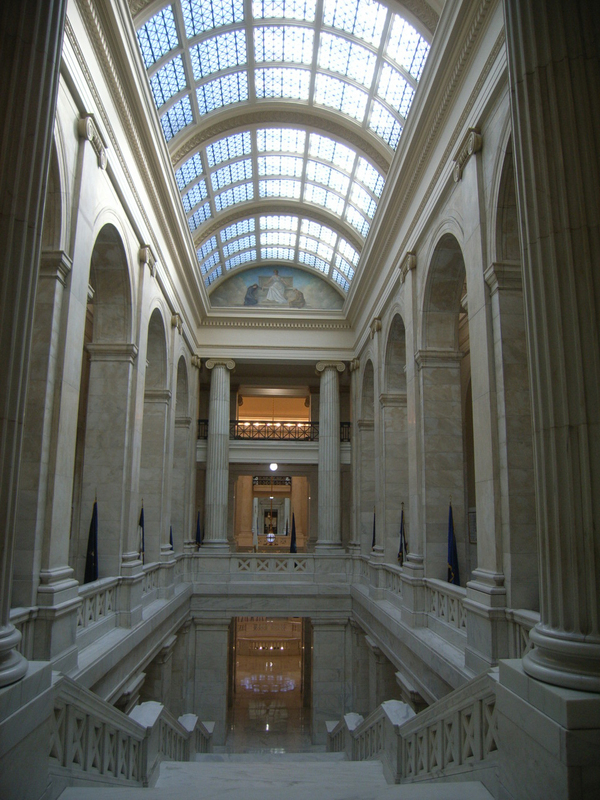 One of two grand staircases inside the Arkansas Capitol in Little Rock. Photo by Cliff on Flickr (use permitted with attribution).